Eastern European countries have become increasingly disappointed with EU politics. Some of them have started changing their political course toward Russia, with the trend becoming evident during the recent elections in Bulgaria and Moldova, according to Austrian Die Presse newspaper. According to the newspaper, there are many reasons behind the rising popularity of pro-Russian forces in the Eastern Europe. "In Moldova, dissatisfaction with the corrupt and divided pro-Western government is the main reason behind the longing for ‘good old' Soviet times. Poverty and economic stagnation have dampened the hopes of a better European future and, in some cases, even destroyed them," the newspaper wrote. In Bulgaria, people also feel nostalgia for Russia. They argue that Europe has not fulfilled its promises and call for "pragmatic relations with Russia," the article noted. According to the newspaper, anti-Russian sanctions have hit the Eastern Europe harder than its western neighbors. Thus, problems in the spheres of energy and foreign trade are other important factors that have led to the change of spirits in Eastern European countries, Die Presse wrote. The newspaper noted that such states as Bulgaria and Moldova depend on Russian gas supplies to a much greater extent than Western countries. Earlier, these countries demonstrated interest in the implementation of the "South Stream" project, but were forced to abandon it due to pressure from the US and the EU. If Bulgaria changes its political course, this could lead to a situation in which Russia's influence in Eastern Europe would increase. Donald Trump's victory in the US election may also open a new room for maneuver in this regard as Trump doesn't seem to be willing to prevent other countries from doing business with Russia, the newspaper noted. 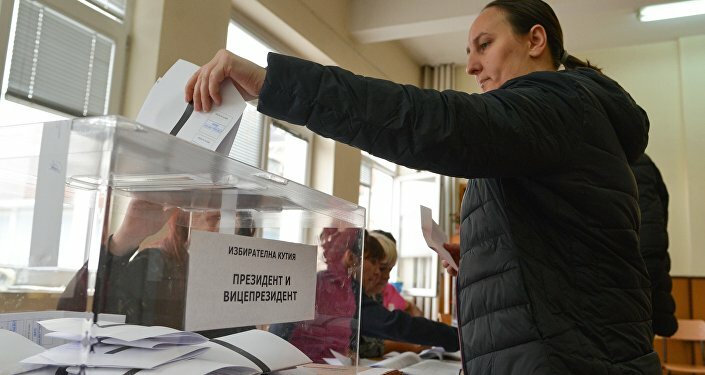 The recent presidential elections in both Moldova and Bulgaria resulted in the victory of pro-Russian candidates — Igor Dodon and Rumen Radev, respectively. Both of them announced their readiness to activate talks with Moscow and strengthen strategic partnership with Russia. The readiness of Eastern European countries to improve relations with Moscow could lead to a new distribution of powers in Europe and the "revival of the Russian sphere of influence" in some parts of the former Eastern Bloc, Austrian Die Presse newspaper wrote. The exception is only those countries, which see Russia as a threat and fear alleged "Russian aggression." These countries include Poland, the Baltic countries and to some extent Romania, the newspaper stated.